Valentine One Radar Detector Review - Is it Worth Buying? Valentine One Radar Detector Review – Bye Bye Tickets! Getting a speeding ticket can leave you facing high fines, points on your license and even a trip to court, but with a radar detector, you can avoid those tickets because you know where the police are and when you need to lower your speed. A radar detector will mount on your windshield or in a convenient location on your dashboard too. The Valentine One radar detector gets good reviews from both professional drivers as well as recreational drivers. Its best feature is that this radar detector can actually detect the five different bands that law enforcement personnel use daily. Valentine offers hardware upgrades and software updates that customers can take advantage of when they send their older models back to the manufacturer. With a conveniently located volume dial right on the front of the radar detector, you can turn down the volume or mute the entire system without taking your eyes off the road. Indicator lights in the shape of arrows on the radar detector itself light up to help you see where it found bands and where police cars might be on the road. At just six-inches long, this radar detector will not get in the way of your radio, drinks and anything else you use and carry in your car. The Valentine One weighs less than 11 ounces and won't damage your windshield when you use the included suction cups for mounting it. This model tracks the Ka and K bands that often indicate the presence of a speed trap or the cameras used on red lights to catch those running the lights. Installing this radar detector is easy because you just mount it somewhere in your car, plug the power cord into your cigarette lighter or adapter and wait for it to come on. The newest and most recently updated versions can track the bands used by law enforcement in other countries. According to Valentine, the radar detector can spot bands used up to one mile away. The Valentine One radar detector monitors for five different types of bands in a 360-degree direction all around your vehicle. Following the posted speed limit is the best way to avoid speeding tickets, but if you have a lead foot, you can use a radar detector to keep an eye out for cop cars and law enforcement on the roads. Radar detectors typically monitor for different types of bands and will let you know the general location of those bands, though you usually won't know exactly where the police are. With the Valentine One radar detector, you get the convenience of both a radar detector and a radar locator. 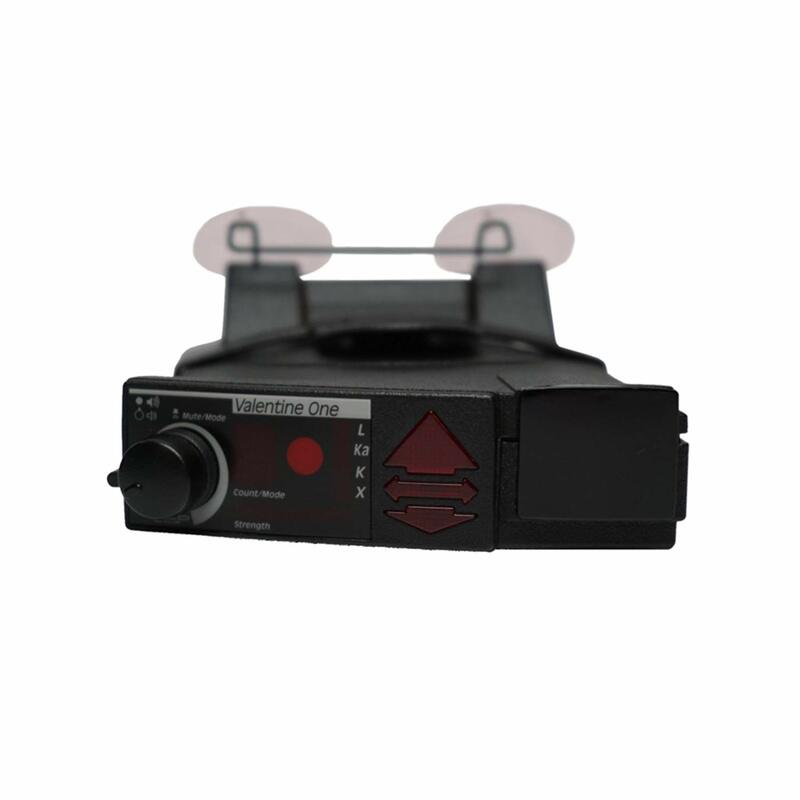 Instead of just beeping to tell you that a police car or a speed camera is nearby, this radar detector will use the arrow lights on its front to tell you if it spotted a band on the right or left of your car or if that band is in front of you or behind you. It can even spot those bands up to one mile ahead of time. As it filters out lights and other signals that can create a false alert, you can rest assured that each time it sends out an alert, it means business. While there are some complaints from users about their models not coming with all the updates the company offers and issues regarding the cost of updating the device, it's really one of the top models out there. Whether you love taking road trips, or you spend a lot of time driving for work, the Valentine One radar detector can help you avoid speeding tickets.